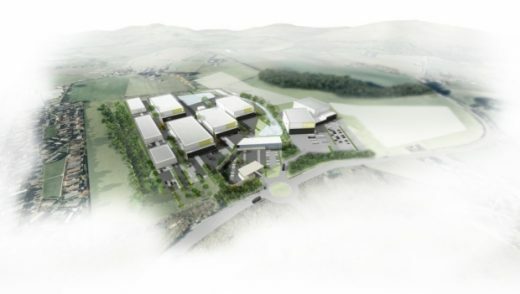 “PSL Land Ltd are very pleased with today’s decision by Ministers to approve the grant of planning permission in principle for Scotland’s world-class Film & TV studio complex, and will be moving forward immediately with the application for planning permission in detail for the Film Studio, Academy and Energy Centre sections of the development. Working together with Midlothian Council, PSL hope this next stage will be expedited accordingly, recovering the construction scheduling that will enable delivery of the key Studio operation by late 2018. 11th January 2016 – Developers behind an £850m development on the site of the St James shopping centre in Edinburgh are trying to block plans for a new film studio on the outskirts of the capital – amid fears it is a front for a retail development, reports The Scotsman. Real estate giant Henderson, which has spent a decade pursuing plans for a new commercial quarter in the city’s east end, is due to finally start work on the project within months. 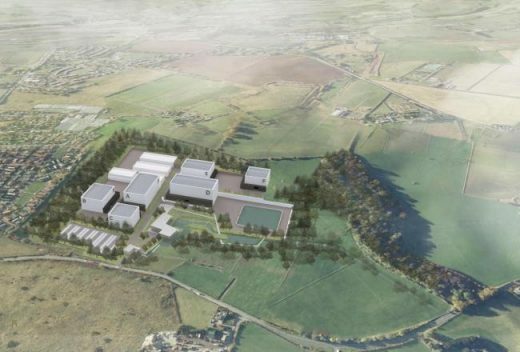 But it fears its plans could be undermined by the £150m studio development, which is earmarked for green belt land near to existing stores in Midlothian, including Ikea, Asda, Marks and Spencer, Homebase and Sainsbury’s. 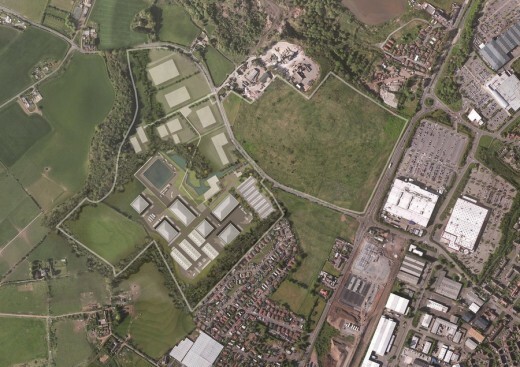 Henderson, which has predicted its project will be worth £25m a year to the economy, has raised fears the studio scheme will lead to a further extension of the Straiton Retail Park and undermine the “vitality and viability” of shops in Edinburgh city centre. PSL Land Ltd (PSLL) confirmed today that an application has been lodged for planning permission in principle for the unique mixed-use Studio development site at Straiton, near Edinburgh, with Midlothian Council. The 86 acre site will host a world-class film and television production facility incorporating six sound stages, an external water-stage, two backlots, workshops and production office spaces. Complementing the core Studio campus will be a film academy and student residence, a visitor attraction and hotel. A data centre and satellite-link ‘earth station’, parking areas and an innovative CHP energy centre will support the future-proofed complex. The studio design team is led by award-winning multi-disciplinary architectural practice Keppie Design. Centred around a landscaped oasis, the 50,000 sq ft reception building will provide a creative hub for resident production companies, staff and visiting crew with a studio commissary offering stunning views of the Pentland Hills across a landscaped glen. Creating a production facility of national importance that will also target the international market, six state-of-the-art sound stages offer a range of options with two at 15,000 sq ft, two at 30,000 sq ft and two at 20,000 sq ft. The two largest stages will reach a height of 70 feet, with the remaining four stages measuring 50 feet each. With clientele to include independent and major studio productions for both film and television, the six stages will also provide production opportunities for the advertising and games industries, as well as rehearsal space for theatre and music companies. Each sound stage will be enveloped by facilities space, allowing production personnel to be in the immediate vicinity of the shooting stages. An additional 55,000 sq ft of workshops will provide prep and post production areas for the creative departments. Complementing the varied interior shooting options and benefitting from a location away from any aircraft flight path is a 45,000 sq ft exterior ‘paddock’ water-stage for filming. Two backlots of 8.6 acres and 20.14 acres respectively allow for significant production set-builds and space with a unique backdrop. Promising to be the UK’s only purpose-built studio in recent decades, the new build can ensure important elements for future-proofing, avoiding compromises for production, and utilising innovative uses of space; and is anticipated to attain a BREEAM® ‘excellent’ rating. Recognising the natural synergy with a working studio, PSLL are discussing the optimum requirements for a first-class educational facility for practical production skills with established educators. An integral part of the studio complex and investing in the future skills-base will be an associated film academy which will comprise of a 28,000 sq ft teaching pavilion and 33,000 sq ft of student residence. Echoing a similar synergy with educational elements, a visitor attraction is also proposed over a 23,000 sq ft area, inviting the general public to experience the working dynamic of a world-class production facility. Expanding general access to the development, an on-site hotel property is also proposed to further the commitment of inward investment and employment generation for the area. Welcoming both studio guests and outside clientele, the planned 180 bed hotel will include a swimming pool and gymnasium as elements of a health spa. Crucial infrastructure for the mixed-use development site are the supporting data and energy centres, together with a satellite-link ‘earth station’. The 75,000 sq ft data centre will house essential secure cloud-based file storage systems and the dedicated 100MW gas-fired Combined Heat and Power (CHP) plant will significantly contribute to the Studios’ energy efficiency. The satellite-link ‘earth station’ will provide a highly developed satellite up-link, enabling productions to securely transfer or transmit rushes, clips or entire programmes for editing and viewing purposes around the globe. Continuing detailed conversations with a range of partners and potential users of the various spaces and elements that comprise the mixed-use site, PSLL have reserved 11.95 acres for future employment land. Providing options for further development once the initial phase of the complex has been completed, this space protects the primary Studio investment, precluding any future residential development by external parties. Situated approximately four miles south of the Scottish Capital city-centre, the proposed studio location is ideally placed for road access to the A720 city-bypass; Edinburgh’s international airport is 9 miles away via the bypass, with Glasgow a 50-minute drive to the west along the M8. Public transport links supply both Edinburgh and Glasgow with the development providing parking to accommodate permanent personnel alongside visiting Studio Productions.